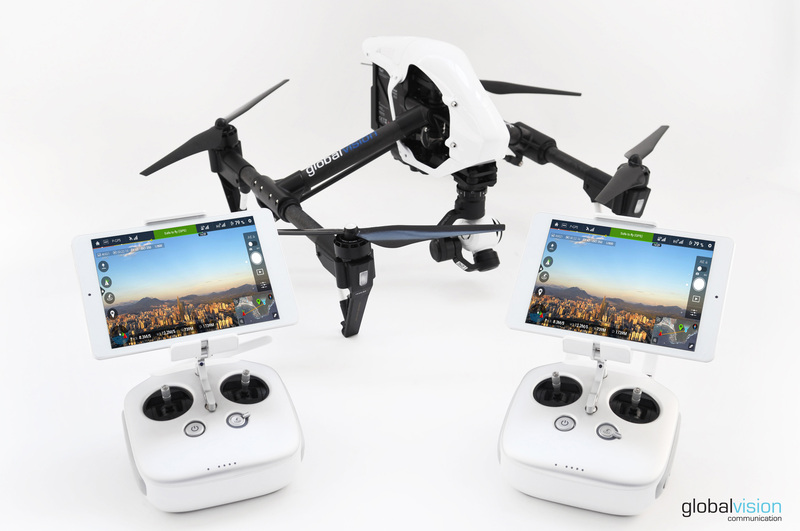 globalvision has just added the most recent UAV model of DJI – the Inspire 1 to its collection of professional drones. This UAV is all equipped and ready to fly. Its 4K camera has been developed for taking magnificent aerial images and videos. Thanks to its advanced technology, the Inspire 1 can fly easily indoors. The sensors are able to determinate the exact location and altitude, therefore, flying with Inspire 1 is safer than ever. The Zenmuse 3-axis gimbal is the result of years of expertise. It stabilizes the camera in order to obtain smooth and stable images. For more information about what we do, simply contact us.